Peak’s mission is to help the world spend their time better using tools and technique borrowed from education, neuroscience and gaming. We make products that add value to your world and help you enjoy life more. 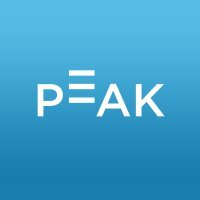 Founded in 2013, Peak has grown quickly, producing Peak – Brain Training, the number 1 brain training app on mobile. Our app was chosen by both Apple and Google as one of the best apps available and is regularly featured by both as leading example of mobile technology. 2017 is an exciting year for the business which will see us build on our success as the market leading Brain Training solution and expand into new verticals.